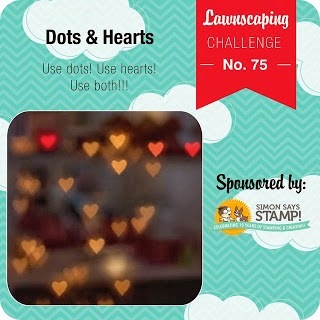 I made this card for the current Lawnscaping Challenge #75 - to use Dots and/or Hearts. 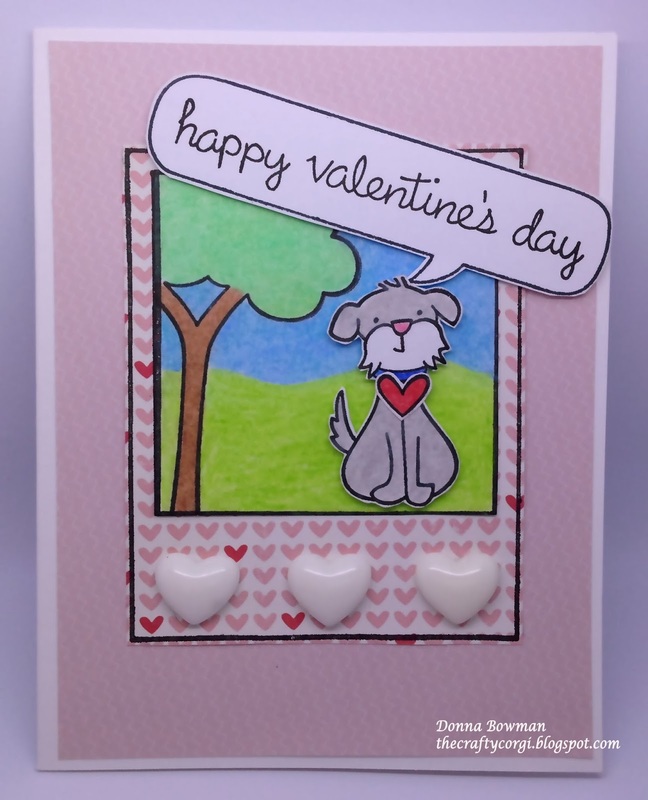 I used this cute heart paper and these fun white enamel hearts that were in my Studio Calico Kit that came yesterday. All the stamps are Lawn Fawn and I colored the images with PrismaColor Markers and blended with Gamsol. I needed a Valentine for my friends 6 year old son so I thought this would be perfect for him. He loves dogs. Thanks for stopping by! This card is super sweet! Love those white hearts, cute! Sooooo cute! I love the dog and the scene you created! Oozes with cuteness Donna, those puffy hearts are perfect! It's good you aren't my neighbor!! I would probably try to lift this card!! LOLOL What a cutie pie little dog and the hearts are precious for him/her!